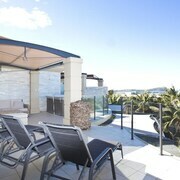 The Crowne Plaza is in an excellent position with views of the ocean from the restaurant and close to shops. Clean tidy and one of the few places that would take a booking for Saturday night only. Great apartment Would definatley stay here again. 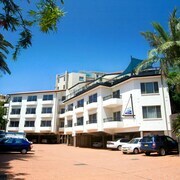 The unit was clean and roomy and very central to terrigal town center. Even supplied milk, cereal and juice. Big thumbs up, we will be back. I stayed there for work, the room had everything I needed and was nice and quiet. The Dalai Lama said, 'Once a year, go someplace you've never been before.' So why not heed the great robed one's advice and book a week or so in Terrigal, 13 kilometres from central Central Coast? Spiritual enlightenment isn't guaranteed, but a divine deal on your hotel is! Be sure to head to The Skillion if you're looking for a break from the clutches of the city. 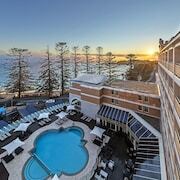 The Avoca Palms Resort Apartments and Crowne Plaza Terrigal are some of the top places to bunk down for a few nights nearby. Take a rest from your little ones, and enjoy some relaxing sports and games at Breakers Country Club. The Forresters Beach Resort and Apollo Resort Wamberal are among the most sought-after accommodation options to consider close to here. Holidays! They're about ditching the toast and cordial and treating yourself. Why not start off with a caffeine fix and a delish snack nearby at Bellyfish Terrigal? When you're after something more substantial later, follow your nose to Lagoon Bistro. Their delicious menu is certain to satisfy your rumbling tummy. 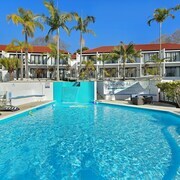 If all that grub has left you thirsty, Terrigal Hotel is just a hop, skip and a jump away. It's an awesome place to grab a stool and chat with the locals! 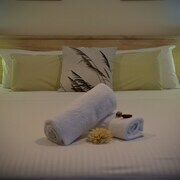 Why not think about staying in Avoca Beach or Forresters Beach when arranging your holiday? Avoca Beach is 3 kilometres from Terrigal, and Forresters Beach is approximately 5 kilometres away. So, have a look at the Terrigal weather report, pack your best outfits and get going! You're just a couple of clicks away from fun nights and breathtaking adventures!